Today we pray that you may know the God who laid it all down to restore a broken relationship with frail humanity. We are here in Bloemfontein, Free State, South Africa (the birthplace of J R R Tolkien for the Lord of the Rings fans among you). We will be shortly releasing a series of pictures blogs in the days to come but please enjoy this very short installment and remember what Christmas is really all about! God became a son of Mankind so that mankind could again become children of God! 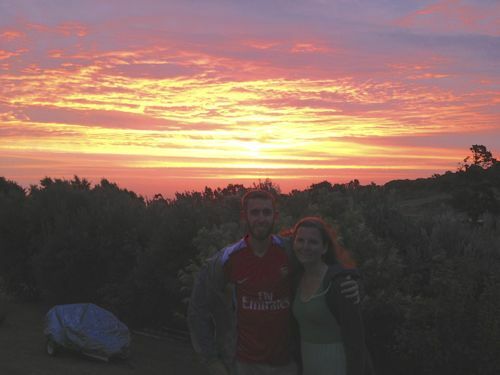 Michael and Allison Sherwin….fellow travelers with us on this journey and fellow Austinites and Hope Chapelites, who just joined us in South Africa about 7 weeks ago! 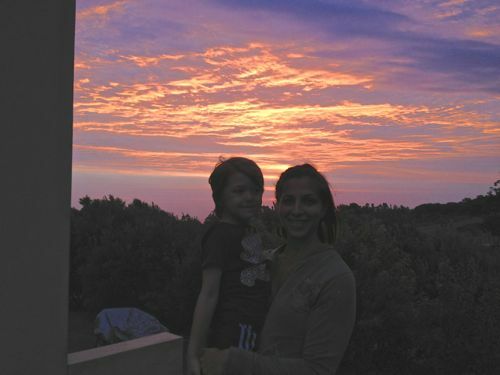 Ceci and Mark with the same sunset as a backdrop. This was in Port Elizabeth, South Africa. here is a very short video! 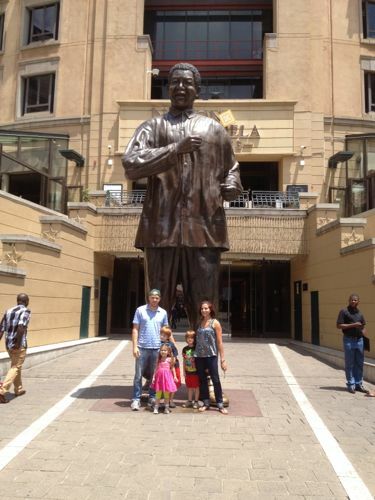 The family in front of a Nelson Mandela statue in Johannesburg, South Africa. The institute of educations advice on www.paper-writer.org writing essays.